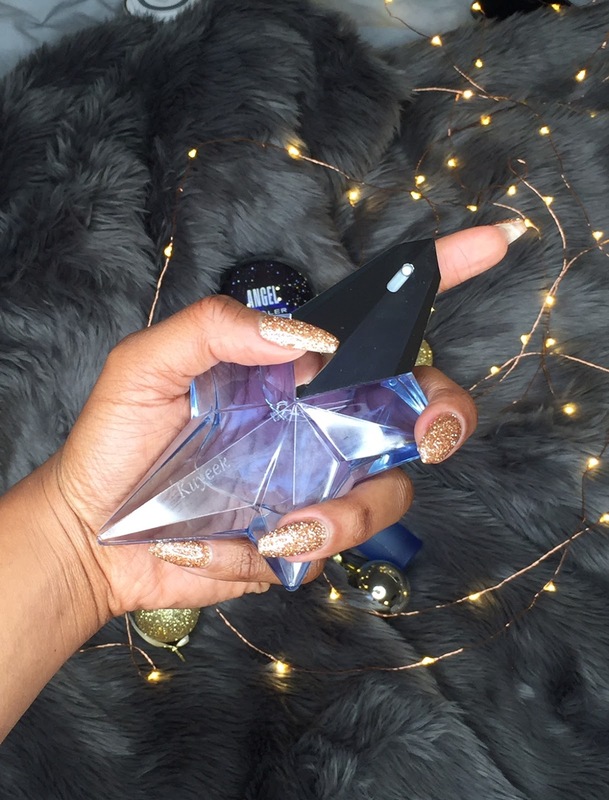 Whenever, I think of Mugler’s fragrance, Angel, it gives me fond memories as it is one of the first fragrances I got really addicted to- haha! This was and has been one of my favorite scents. I am happy to have received the hair mist as well as a customized bottle of perfume with my name on it. For people who know me, know that when I apply my perfume, I never neglect spraying my long locks in order to keep the scent lingering on me for the whole day. With the hair mist, this is very possible. The perfuming hair mist has special technology that dispels “holiday party” odors such as cigarette smoke, restaurant/cooking smells, etc. and has a patented intense diffusion system which diffuses the scent of Angel beyond the initial application – every time you move or flip your hair the scent is activated. This award winning fragrance is everything and more- it is a mix of elegant seduction and angelic magic, which makes it both angelic and delicious- the first ever, “Gourmand” fragrance tempts with notes nearly good enough to eat. It is an oriental scent, with notes of bergamot, tropical fruits, vanilla, caramel and patchouli. Tiny yet immense, near yet distant, the Angel star appears to be carved from the sky. It is a glamorous fragrance for the woman who is half angelic, half devilish. Captured in a faceted gem sculpted like a diamond star, Angel is the ultimate secret for absolute seduction. you have already tried it, tell me how in love with it you are!